Like many delta systems, the coastal zoneof the Nile delta has been designated as avulnerable zone to a rising sea level as aconsequence of expected climate changescombined with geological and human factors.In view of the understanding of thesefactors, a degree of vulnerabilityanalysis has been carried out to betterlocate which sectors need to be assessedand adapted to possible sea level rise(SLR) for the Nile delta-Alexandria region of Egypt.Results reveal that not all of the coastalzones of the Nile delta are vulnerable toaccelerated sea-level rise at the samelevel. Based on multiple criteria the Niledelta-Alexandria coast can be categorizedinto vulnerable (30%), invulnerable (55%)and artificially protected coastalstretches (15%). 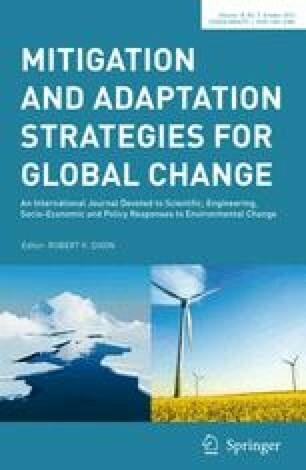 These criteria include:local subsidence or uplifting, relativesea-level rise (RSLR), land topography,width of lagoon barriers, beach-face slope,high-elevated features such as dunes andridges, eroding and accreting coastlinesand protection works.Moreover, this study evaluates thelong-term relative sea-level rise andsubsidence rates along the Nile delta andAlexandria coasts. Statistical analysis oflong-term tide gauge data recorded atAlexandria, Burullus and Port Said yieldsvalues of 1.6, 1.0 and 2.2 mm/yr,respectively. These values of relativesea-level rise and long-term subsidencerate obtained from age-dated sediment coresections are inconsistent: long-termsubsidence appears to be larger (maximum of7 mm/ yr). This discrepancy might beexplained if the subsidence is episodic,and occurs rather abruptly during majorearthquakes that occur every few hundredyears associated with fault trend lines.Rising sea levels could have significantlongterm impacts on the Nile delta,including the distribution of ground watersalinity and erosion of the narrow andlow-lying barriers of the Burullus andManzala lagoons. Adaptive measures alongthe study area particularly those relatedto coastal protective structures are alsoevaluated.